Clogged pipes are one thing, but a broken pipe is a big deal, costing thousands and thousands of dollars to repair and a whole lot of stress and hassle. That’s why more and more people are choosing trenchless sewer repair over other repair solutions. Trenchless pipe repair is an economical and eco-friendly way to fix a broken pipe in Los Angeles. Most traditional sewer pipe repair solutions require homeowners to “re-landscape”. Given that the majority of pipelines run underground, in order to fix a broken pipe, homeowners have to rip up their lawns. With trenchless sewer repair or replacement, however, you can save your yard from looking like a war zone. The trenchless pipe repair solution causes only minimal damage. Here’s how it works: the technician drills two small holes into your lawn, one entry point and one exit point. They are placed a few feet apart in diameter. Once the installation is complete, you won’t have to shell out any extra cash to repair the damage done to your lawn. No “re-landscaping” required. Trenchless sewer repair is today’s most popular pipe repair solution because it’s simple, affordable, and efficient. But at this point, you’re probably wondering, what exactly is it? Traditional pipe line repair solutions consist of having to dig up your lawn in order to remove old pipes and replace them with new pipes. Trenchless sewer repair does not use this technique; instead it utilizes a technique called “relining,” which involves threading a new polyethylene pipe through an old pipe. The process is economical and eco-friendly but above all, it is efficient. Because the lining of the pipe is flexible, the water is able to move more freely through the damaged pipes. In addition, unlike old pipes, the newer polyethylene pipes are resistant to tree roots growing into them, preventing another future pipe disaster. Trenchless sewer repair costs approximately 50% less money than traditional methods. But not only will it help you save cash, it will also help you save time. Whereas traditional pipe repair can take anywhere from 6-8 weeks, trenchless sewer repair takes mere hours, sometimes as little as 4 depending on your water system. Plus, you don’t have to worry about shelling out a pile of extra cash to fix the damage done to your landscape by pipe repair. With the amount you’ll save on money, stress and time it’s easy to see why trenchless sewer repair is today’s most popular pipe repair solution. Trenchless pipe repair is also much more eco-friendly than traditional methods. All the digging and landscaping that is involved with traditional pipe repair methods is harmful to the environment. In addition, the epoxy re-piping actually controls water pollution while helping your water supply runs more smoothly and efficiently. When you choose trenchless sewer repair, you are choosing a long-lasting pipe repair solution that is easy on the wallet, and good for the environment. At Honest Plumbing & Rooter, Inc., our expert plumbers in Burbank and Los Angeles can effectively address your sewer line problems. Call us at (818) 840-8842, we are available 24/7 to address all of your plumbing emergencies. If your residence or commercial building needs Trenchless Sewer Repair the plumbers in Los Angeles are ready to assist you with the latest technology of sewer repair which will cost you less as well as it will not damage area of repair or your courtyard. 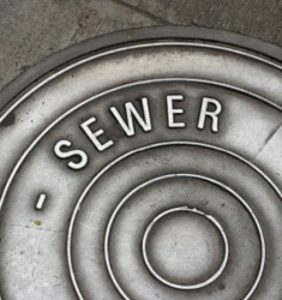 Trenchless Sewer Repair services are very beneficial as your sewer problems can be resolved quickly and efficiently. Trenchless Sewer Repair technology is very efficient as it allows the plumbers to make repairs from two small access points one on either end of the line. Traditional processes are more costly and time consuming while latest technology Trenchless Sewer Repair is more efficient, time saving and popular pipe repair solution as well as if we consider about money saving then this is the perfect solution for sewer repair. The most important thing is trenchless sewer repair services is very environment friendly as it doesn’t harm or damage any space.